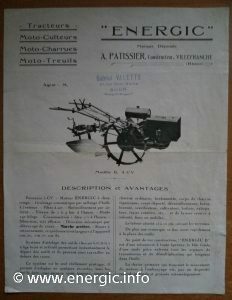 Energic motoculteur B1 brochure photo. 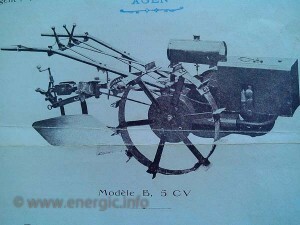 The earliest B machines appeared in 1930 along with the Energic A Treuil. 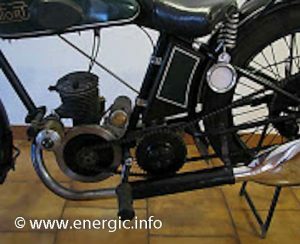 I have recently discovered that they used a Motobecane 250 E 2 stroke engine (247cc) of the time, with only 3 cv till late 1930 (Course 70mm x l’alésage 66mm). 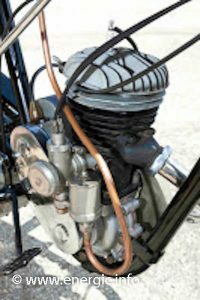 This engine was manufactured from 1927 to 1930 in various motorbikes of the time but essentially the same engine. Ok for just 70kg of motorbike but under powered for 240kg of motoculteur. Very few where made, perhaps 50, and most where scrapped as they broke down or scavenged by motorcycle enthusiast for essentially the engine which was rare even then.The 2 stroke melange/mix was unusual as it was 50% grease and 50% highly viscose engine oil, in a small ratio to essence/petrol of high lead content for lubrication. 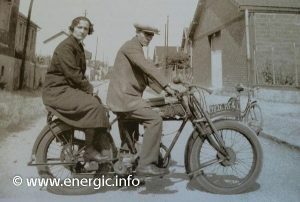 Engine in action!, happy motorcyclists? Then alternative engines from different manufactures where used to generate more power up to 5cv. 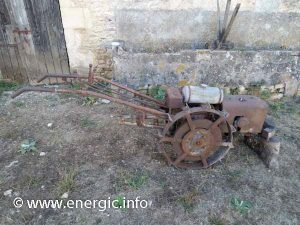 One engine was a 247cc 2 temps.- (Chaise engine) that was more commonly used in the Chaise moteured motorcycles of the time. The engine was branded Energic, Ets Chaise & Cie also supplied engines to Majestic, New map, Rhony’x and Dollar motorcycles as well as engines for other alternatives uses. At just 240Kgs it was the lightest of the range. Originally with 1 speed ( 1 to 4 Kph – slow) and no rear gear (priced 5500fr.). The exhaust pipe was bent round the engine. 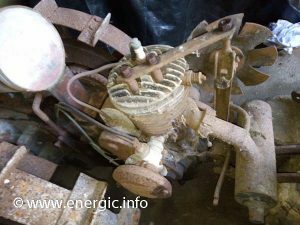 Energic motoculteur B1 in restoration in progress. 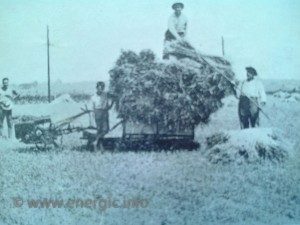 Energic motoculteur B1 in action in the field collecting the harvest. 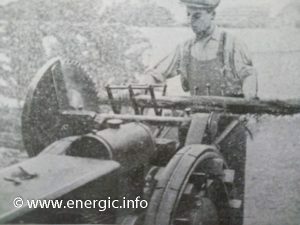 Energic motoculteur B1 in action cutting wood. 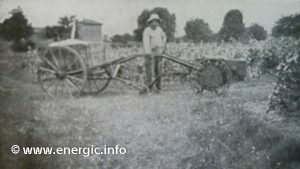 Energic motoculteur B1 in action in the vineyards, collecting grapes. The magnificent Energic motoculteur B1. 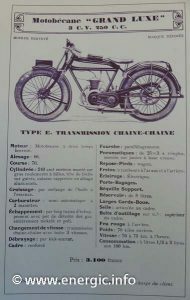 Available till 1931/2.Then the Energic motoculteur B5 superseded this model. 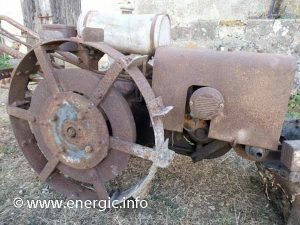 See more information restoration on Energic B1, voir restauration ici Project Sav.